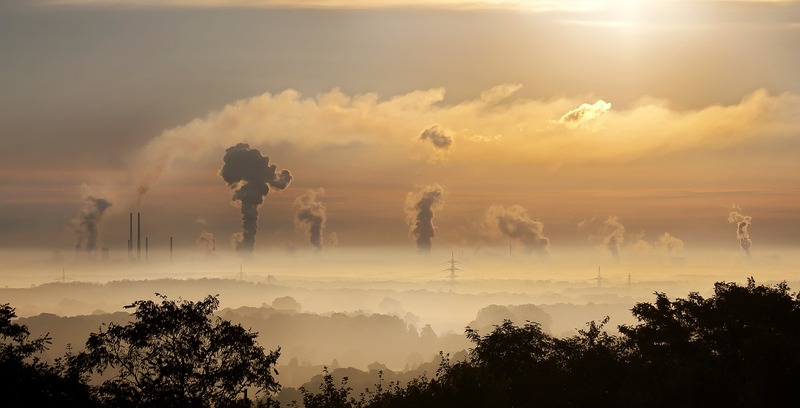 At the start of this year, the World Health Organisation (WHO) announced that air pollution posed the greatest threat to global environmental health in 2019. The UN’s public health agency estimates that nine out of ten people worldwide breathe polluted air every day. Most of the pollutants in our air today come from traffic. Nitrogen dioxide and microscopically small particles emitted by motor vehicles can penetrate respiratory and circulatory systems, heightening the risks of heart attacks, lung cancer and respiratory conditions. In the UK, poor air quality is estimated to cause the early deaths of 40-50,000 people each year, while in London 9,500 are believed to have died prematurely in 2010 due to air pollution. Across Europe, national and local authorities have been responding to the health risks posed by air pollution with measures to tackle emissions from vehicles. Many have introduced low emission zones (also known as clean air zones). These regulate vehicles with higher emissions, banning the most polluting vehicles from entering the zone and requiring them to pay a fee if they enter the area. In various countries, low emission zones have different rules according to the type of vehicle and whether it meets EU emissions standards. In Germany, for example, there is a national framework of low emission zones affecting all motor vehicles except motorcycles. In Denmark, a similar framework applies to all diesel-powered vehicles above 3.5 tonnes. In Paris, all vehicles entering the low emission zone are required to display a sticker according to their emissions standards. The most heavily polluting vehicles are not allowed in. In addition, any vehicle can be refused entrance to the city centre in response to high levels of pollution on a given day. A growing number of UK cities, such as Leeds and Birmingham have been working on the introduction of low emission zones, and some have already been implemented in Norwich, Oxford and Brighton. 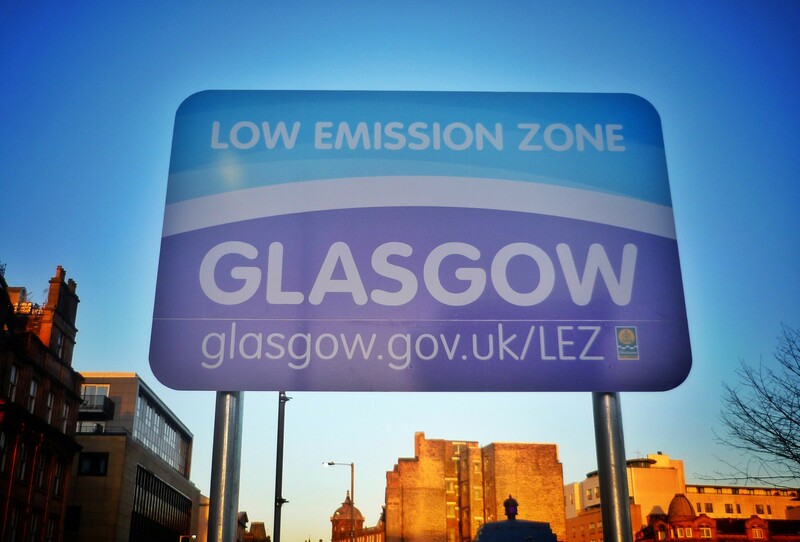 In Scotland, the Scottish Government plans to create low emissions zones in the country’s four biggest cities by 2020, and the first of these is now up and running in Glasgow. The first phase was launched in January, targeting buses, which are among the most polluting vehicles. Glasgow’s biggest bus operator, First Bus, has purchased 75 new buses fitted with low emissions systems complying with the EU’s Euro VI standards. The scheme will be extended to other vehicles in stages. Since 2003, when the congestion charge was launched, London has taken the lead with measures to tackle what Mayor of London Sadiq Khan calls the city’s “filthy, toxic air”. In 2008, London created a low emission zone, and in 2017 a Toxicity Charge (T-Charge) introduced a surcharge for the most polluting vehicles entering central London. But levels of pollution in the capital remain stubbornly high, and so new measures have now been developed. From 8 April 2019, an Ultra Low Emission Zone (ULEZ) will be in place in London, imposing tighter exhaust emission standards. The ULEZ will cost £12.50 for diesel cars manufactured before 2015, as well as most pre-2006 petrol cars cars, motorcycles and vans up to 3.5 tonnes. Vehicles over 3.5 tonnes will have to pay £100 to enter central London. These charges are on top of the £11.50 congestion charge. Failure to pay the ULEZ will result in fines of £160 upwards. By 2021, the ULEZ will be extended to the north and south circular roads, taking in more London boroughs, including Brent, Camden, Newham, Haringey and Greenwich. By that time, it’s expected that 100,000 cars, 35,000 vans and 3,000 lorries will be affected per day. There have been mixed responses to the incoming ULEZ. Health organisations such as the British Heart Foundation and the British Lung Foundation, have welcomed the measure, and environmental bodies also see the ULEZ as a step in the right direction. Sustrans, the sustainable transport organisation, commended the Mayor for “showing welcome leadership on tackling toxic air pollution.” Friends of the Earth welcomed the expansion of the ULEZ as “a promising step towards clean air in the city centre”, and called for further moves to protect the health of people living in Greater London. 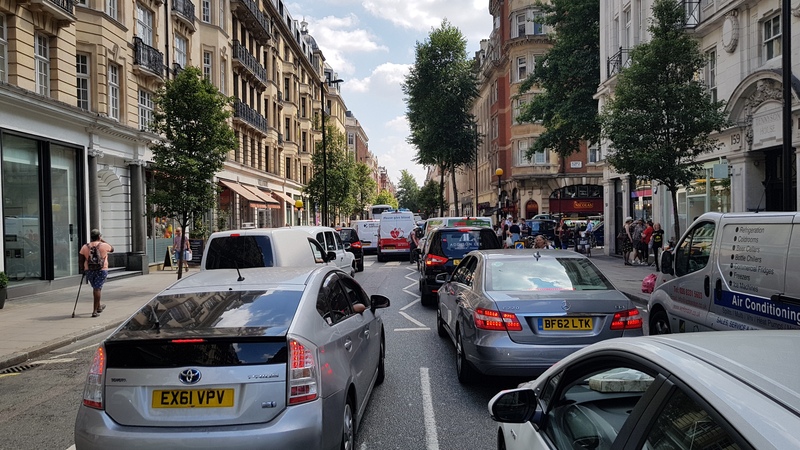 The Road Haulage Association has voiced its opposition to the early application of the ULEZ to Heavy Goods Vehicles, claiming that the measure will have limited impact on improving health and air quality in central London. Striking a balance between environmental, health and economic pressures was always going to be a challenge. Even in London, which has led the way in tackling poor air quality, longstanding policies aimed at reducing air pollution have failed to bring it below legal levels. The new ULEZ may go some way to doing that, but it might also antagonise drivers faced with ever-rising costs. Cities on the journey to cleaner air are in for a bumpy ride. Air pollution is a bigger killer in Europe than obesity or alcohol: nearly half a million Europeans die each year from its effects. Motor vehicles are the main source of these emissions in urban areas. For this reason, European Union regulations introduced in 2010 set down that nitrogen oxide should average no more than 40 micrograms per cubic metre over a year. These limits are regularly breached. By the end of January this year, London had reached its legal air pollution limit for the whole of 2018. Scientists say that even these limits are unsafe: the 30,000 deaths each year attributed to particulate pollution are due to exposure levels below the legal limit. In the UK, Glasgow is set to become Scotland’s first low emissions zone, while Oxford could become the world’s first zero emissions zone, which would exclude all non-electric vehicles from the city centre by 2035. London has adopted especially ambitious goals to clean up the capital’s air. As of October 2017, older vehicles driving in London between 7am and 6pm have needed either to meet the minimum toxic emission standards (Euro 4/IV for both petrol and diesel vehicles and Euro 3 for motorised tricycles and quadricycles) or to pay an extra daily charge of £10.00 (in addition to the £11.50 Congestion Charge). Air quality campaigners have welcomed this “T Charge”, but not everyone is happy. The Federation of Small Businesses has voiced concern that the charge will have a negative impact on small and micro-businesses that are already struggling with high property, employment and logistics costs. Shaun Bailey, a Conservative member of the Greater London Assembly, has described the T Charge – and the mayor’s plan to bring forward to 2019 the launch of London’s ultra-low emission zone (ULEZ) – as “vanity projects” that will have little effect on air quality. London’s T Charge is one way of tackling air pollution, but there are other methods, such as retrofitting bus fleets, improving concessionary travel and supporting cyclists. Some UK cities are already taking action, while in Germany and Belgium, even more radical ideas are being mooted. Last summer, the UK government set out its plan for tackling roadside nitrogen dioxide concentrations. The document made it clear that local authorities have a leading role to play in achieving improvements in air quality. By the end of this month, local authorities were expected to submit their own initial schemes for tackling the issue, with final plans to be submitted by December. The government promised support for councils, including a £255m Implementation Fund to help them prepare and deliver their plans, and the opportunity to bid for additional money from a Clean Air Fund. It was hoped that these measures would lower the poisonous emissions. However, last month the High Court ruled that the government’s approach to tackling pollution was not sufficient, and ordered urgent changes. Even if the subsequent plan is accepted, many feel that the only sure way to solve the problem is to eliminate traffic from our cities. Others counter that this will damage the economy. The battle of Britain’s air quality has only just begun.